Wheels hit the runway and bring my speeding red plane to a halt as my heart raced with excitement; I had touched down in Tokyo. The skyline of the most modern city on Earth is awe inducing 24 hours a day: lit up in a spectrum of light at night and glittering in the sunlight of the daytime. With bullet trains shaped like the space crafts of my elementary school imagination going at blur speed, restaurants in the back of vending machines supplying hungry people on the go, signs written solely in beautiful characters, and architectural masterpieces kissing the sky, the city boasts a metropolis like no other. Not knowing what half the subway signs said, and struggling to figure out how to use the ultra-modern toilet, I felt like a happily lost child surrounded by bold, hip fashion, tailored suits, leather briefcases of the working professionals, and adorable uniforms of school children. Luckily the Japanese are nothing if not welcoming hosts. On my first day, as I struggled with the automatic subway ticketing machine in the Shinjuku district, famous for big businesses; a sharply suited, peppered haired gentleman on his way to work stopped to help me figure out the touch screen’s mysterious options, switching the language to English, and even picking up the tab for my ticket saying, “Welcome to Japan” before hurrying to catch his train. 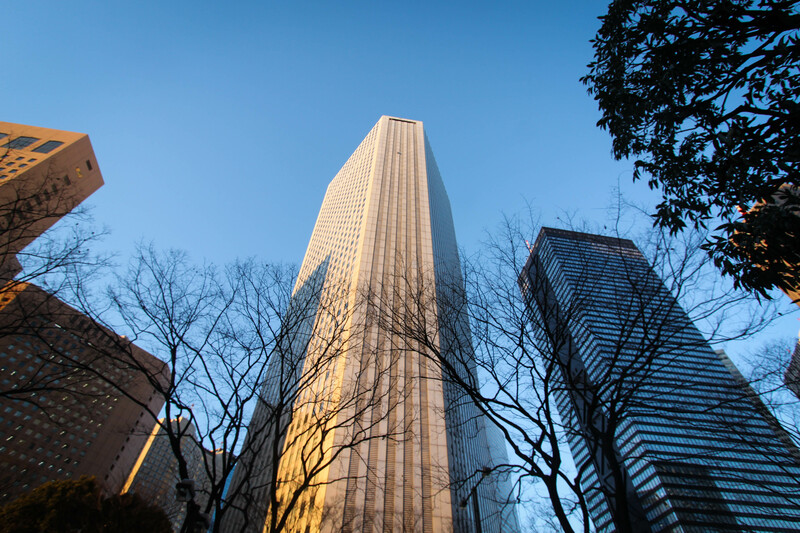 Watching the sun set over Tokyo from 45 stories high at Tokyo Metropolitan Government Building Observation Deck in the heart of Tokyo is an essential and free experience. To see the huge city bathed in gold, being kissed by the setting sun was truly breath taking. The next day, the famous Harijuku district did not disappoint with its anime-like character fashion, bright colors, and outrageous outfits. 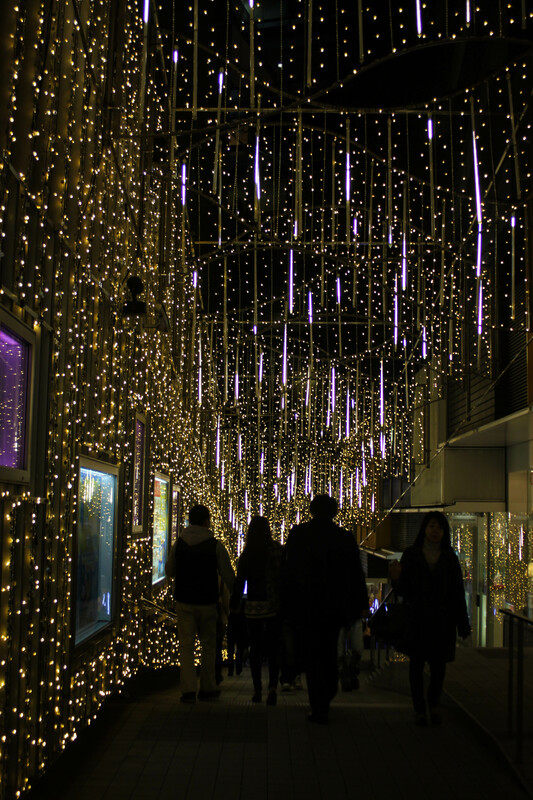 A world of brightly colored fantasy came alive in the crowded streets full of young Japanese hipsters. I visited the massive 4 story Daiso 100 yen store to pick up some cheap souvenirs and snacks – a must for traveling to Japan on a budget. I spent 4 days in Tokyo soaking up the museums, art, culture, and eating as many bowls of Udon noodles as I could before setting off to experience the richness of traditional Japanese living. To get the traditional side of Japan bullet trains took me to the culture rich cities of Hakone and Kyoto. Here traditional Japanese home style hotels called ryokans preside over the landscape in place of skyscrapers. 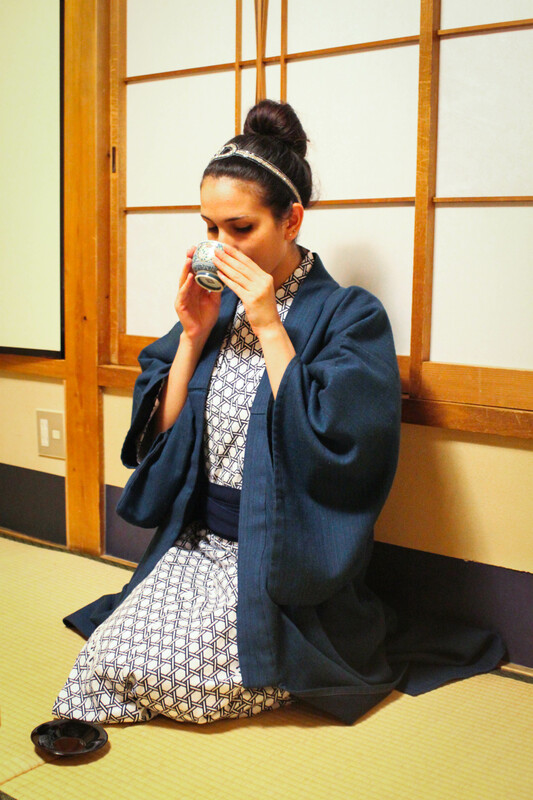 In Hakone, I abandoned my shoes for slippers and learned to wear the yukata: a robe for wearing around the house; had an amazing multi- course traditional meal, enjoyed soaking in a private outdoor hot springs bath on the river, and even learned to fold a paper crane. I loved the experience of sliding rice paper doors, tatami mats, and sleeping in a shikibuton bed so much that I decided to stay in another ryokan in Kyoto. 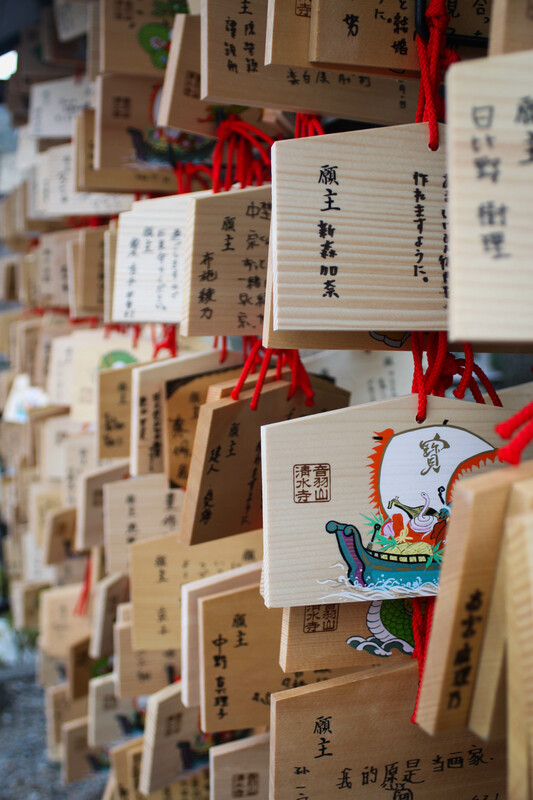 Kyoto delivered all the culture and traditional beauty that its name is known for. Giggling geisha walked up and down the narrow streets doing their shopping and popping in and out of tea houses and rickshaws toted women in bright kimonos to and from shrines. I had some incredible sushi, and visited the local temples. 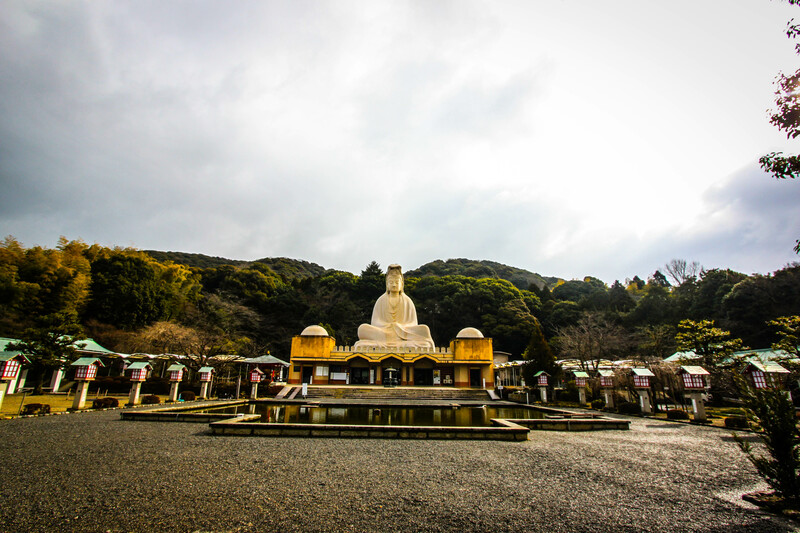 One of the most striking shrines was the Ryozen Kannon or Tomb of the Unknown Soldier of WWII. Upon paying the entrance donation, I received sticks of incense to place in a shrine at the foot of the 24 meter tall statue of Bodhisattva Avalokiteśvara, whose image is the embodiment of the compassion of Buddha. Everything was bathed in soft morning light, enhancing the touching experience of honoring the lost soldiers from both sides. 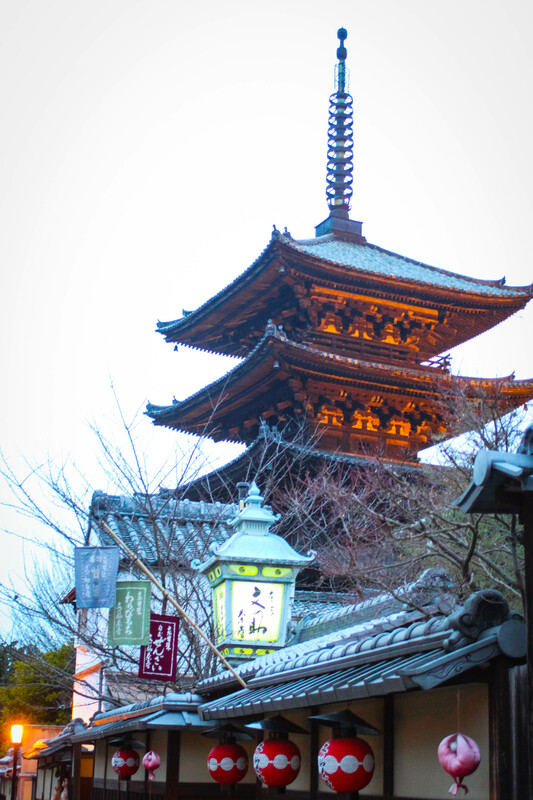 The famous 380 year old Kiyomizu temple was simply stunning. 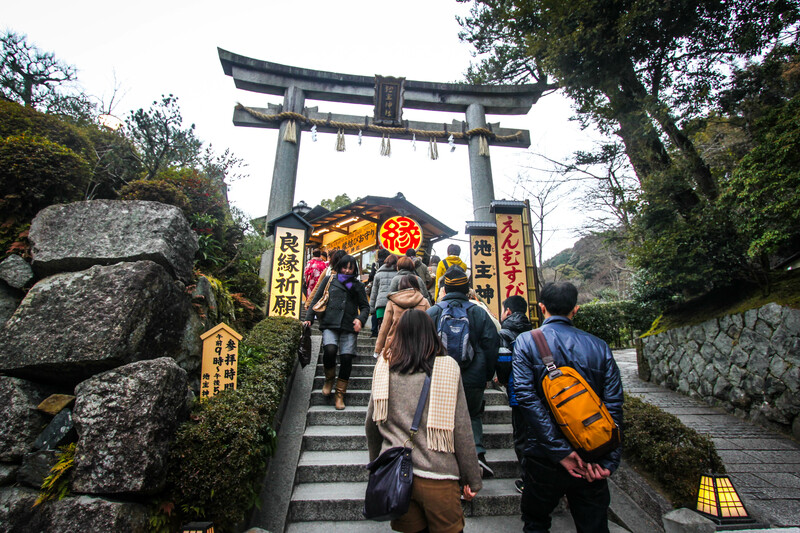 Situated at the end of a small hike, up stone stairs, and across verandah covered pathways cut into the mountain, the temple overlooks a sacred waterfall. Its views are beyond compare. I took a place in line with Japanese visitors to ring a gong and toss coins into a copper basin for good luck before bathing a statue of Buddha for prosperity. 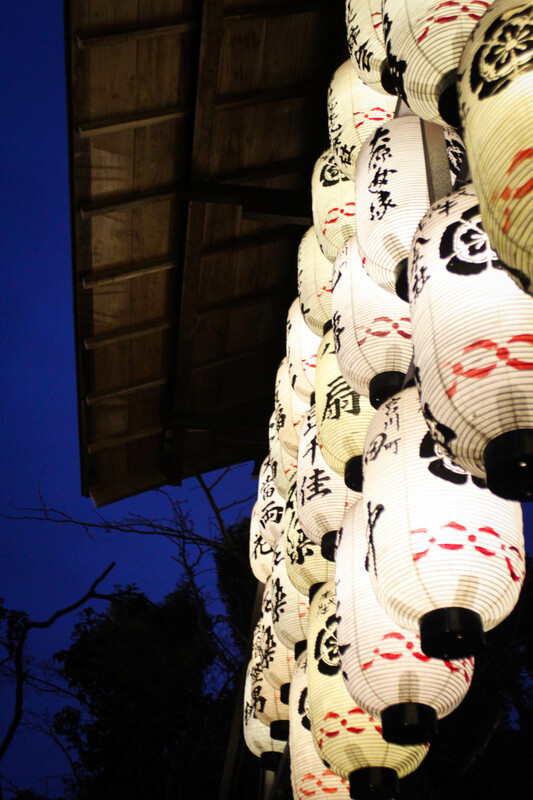 Kyoto illuminated the undeniable beauty of Japanese culture. The preservation of a rich and beautiful traditional culture entwined so closely with the innovation of cutting edge technology made touring Japan the most visually unique journey I have ever been on; from conveyor belt sushi bars, immaculately clean city scapes that pierce the sky, districts that radiate a full spectrum of colorful life, to living traditional style, watching kimono clad beauties, and visiting large ornate temples. The experience is unforgettable. I loved it so much I snagged tickets during Air Asia’s summer sale to fly the famous Red Jet to Japan again next summer.